G8 Survival Again In Doubt? Much to the frustration of G8 fans, when GM Marketing Chief Bob Lutz said the Pontiac G8 will become the Chevy Caprice he might have meant a Caprice only for police work. What's happening? 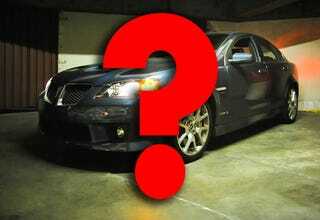 Pontiac G8 To Live On As Chevy Caprice! We've been looking at it for police applications. As for whether or not it's broader than police applications, I am not a believer in re-branding and re-badging. We've been talking about in terms of potential police applications and we'll leave it at that." It could be a long year if the "New GM" is going to be nothing but Lutz Said/Fritz Said. Either way, big G8 fans may at least be able to settle on retired police cars.